Katharine Smyth was a student at Oxford when she first read Virginia Woolf's modernist masterpiece To the Lighthouse in the comfort of an English sitting room, and in the companionable silence she shared with her father. After his death - a calamity that claimed her favourite person - she returned to that beloved novel as a way of wrestling with his memory and understanding her own grief. Smyth's story moves between the New England of her childhood and Woolf's Cornish shores and Bloomsbury squares, exploring universal questions about family, loss and homecoming. Through her inventive, highly personal reading of To the Lighthouse and her artful adaptation of its groundbreaking structure, Smyth guides us towards a new vision of Woolf's most demanding and rewarding novel - and crafts an elegant reminder of literature's ability to clarify and console. 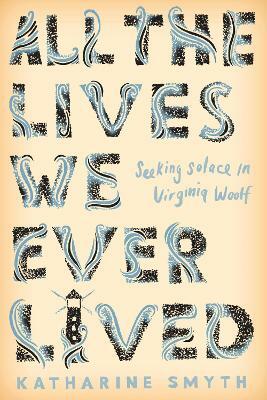 Braiding memoir, literary criticism and biography, All the Lives We Ever Lived is a wholly original debut: a love letter from a daughter to her father, and from a reader to her most cherished author. Katharine Smyth attended Brown University and Oxford University. She has worked for The Paris Review and taught writing at Columbia University, where she received her MFA in nonfiction. She lives in Brooklyn, New York.